The leading and innovative fiber optic networking manufacturer based in Taiwan, Ruby Tech Corp., today unveils its 2-Port GbE TP/SFP Combo to 2-Port GEPON Converter Module OLT-E200. 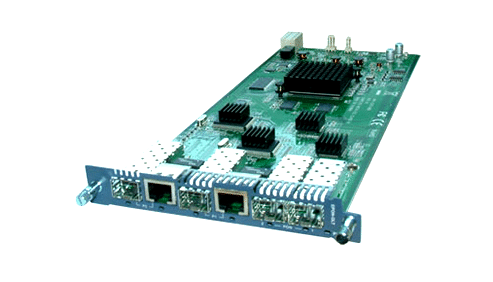 This OLT module is equipped with two gigabit Ethernet combo (TP/SFP) ports and two GEPON OLT ports. 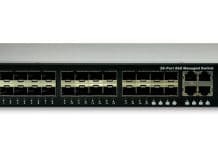 By handling total 64 subscribers per OLT port along with multiplexers and ONUs, OLT-E200 can support up to 128 subscribers. 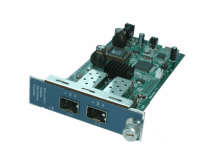 Interoperated with CR-3816 – 16-Port EPON Converter Chassis, ONU-E100C – EPON ONU, Ruby’s GEPON series provides Telco and cable operators with a best and cost effective point to multipoint fiber solution when they deploy their FTTx architecture in various environments, such as MDU, MTU, campus and etc. 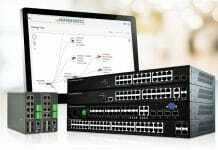 OLT-E200 supports IEEE 802.3ah OAM function for CO and CPE site, “Remote Failure Indication”, “Remote Loopback”, “Link Monitoring”, “Port Configuration” and “Bandwidth Configuration”. 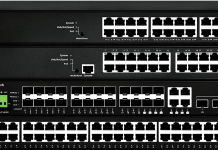 The network manager can manage it with Web via browser, CLI via local console, Telnet interface and SNMP v1/v2c/v3.